This week, one of my dear friends lost her brother to suicide. It’s been heart-breaking as I’ve grieved for her and her family in their time of tragic loss. I lost my brother-in-law in much the same way in 2003, and I remember how dark life seemed for a time as we mourned him. I’d lost loved ones before, but suicide is like a knife to the heart. It gouges out all happiness and leaves you spiritually bleeding out. With suicide there are so many unanswered questions…as well as an overwhelming sense of guilt and regret. It’s an ugly word, and an even uglier thing to experience when someone you love resorts to it. How much pain and darkness must they have felt to have taken their own life? Could you have helped them if you’d done just a little more—written them an upbeat letter in prison? Put your arm around them instead of harboring ill thoughts at their destructive behavior? Or a million other things you think of after it’s too late. I don’t believe joy is a constant; but I do believe it can be consistent in our lives. It’s been years since my brother-in-law took his life…yet still I find myself driving down the road some days and I’ll think of him out of the blue and get all choked up. I miss him—greatly! But do I still feel joy? You bet. Sometimes joy and pain have their shining solo performance on the stage of our lives to the exclusion of the other…but I think there are more times when they act together. You can miss a loved one and feel deep pain…and yet find joy from a higher power to help you get on with life and enjoy all that you still have. God is the source of all joy! He is just. He is loving. He is merciful. He is our Redeemer, who can make it possible for joy to be constant someday when we can handle it maturely without taking it for granted. If you’ve been touched by tragedy in any way (especially suicide), I would urge you to go to the source of all answers. Christ. The more we get to know Him…the more the painful questions that consume us in life fade away and become unimportant. I’ve also found it helpful to talk to others instead of keeping your pain locked up inside you. Some people may become uncomfortable with tragic topics, but there are many more than you think who have dealt with someone they love resorting to a desperate end. Mourning with those who mourn and giving comfort to those who need comfort is empowering (as Jennifer wrote about in Jesus Wept back in September). If Christ were here in person, he would weep with those suffering pain in any manner—and losing a member of your family to suicide is tragic, heart-rending pain. I know Christ wouldn’t start spouting off doctrine to us if He were with us in person. He’d take us in his arms and cry with us instead. He’d allow us to sob, shudder and feel the pain our hearts need to feel at loss. And just that act in itself would begin to heal us. So don’t be afraid to weep when tragedy occurs. It’s a necessary part of grief. But don’t allow grief to make you bitter. Reach out to others for help and support; and eventually, you will be strong enough to stand again; your tears will dry as you realize life doesn’t end at death. That doesn’t mean you will stop missing your loved one. Heavens no! But your memories will become sweet, not bitter. You will gain a testimony that your loved one can still progress on the other side of the veil, with angels and family members strengthening them just as those on this side bolster you. 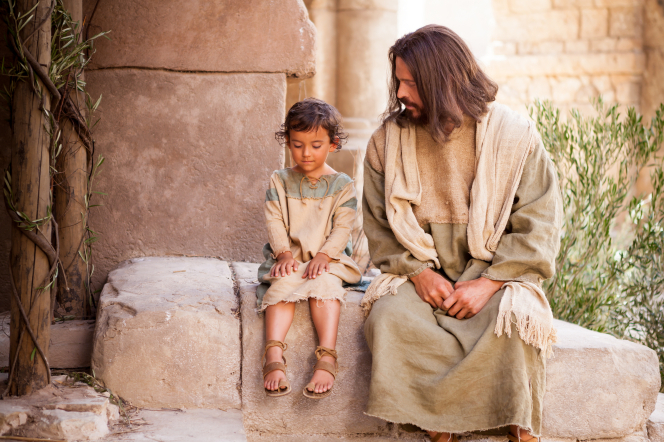 God wants us to have joy, and the atonement of Jesus Christ is infinite and eternal. It doesn’t just work to save us in this life…it is ALWAYS working EVERYWHERE. Infinite means no boundaries. Death does not thwart it. Spiritual dimensions don’t contain it. The atonement has the power to save in this life and the next. I have no doubt of that. That’s why there is a Spirit Prison where missionaries still teach, and I believe even counsel and support those who have left this life prematurely. So when God’s megaphone of pain rouses our deaf ears to attention through tragedy…get on your knees. It is the best place to be in this troubled world. Let yourself grieve and weep. Mourn with others who have been affected by the same tragedy. Pain can unite and bond together like no other glue has power to do. Then stand up again and thank God for His blessings, and keep your eyes open to see the wounds of others, that you may heal your own heart as you bind up theirs. …During His mortal life Christ chose to experience pains and afflictions in order to understand us. Perhaps we also need to experience the depths of mortality in order to understand Him and our eternal purposes. It’s something to ponder in the painful moments. Beautiful post. I’m so sorry for your friend’s loss and yours. Beautifully written, Charissa. I can’t imagine the pain that comes with losing someone to suicide. I’m so, so sorry. There is comfort in knowing Christ understands our pain, because He came here to experience it as well. Most people don’t want to hear about or think about these tragedies in other peoples’ lives, but it is so important for loved ones to be able to talk about the person they lost. They are still very real to them and they need to talk about them, and always remember them. I think listening to them is all part of mourning with those that mourn. Thanks for sharing. Listening is so important. It helps to just get all that sorrow off our chest by putting it into words.